Throughout history, the pursuit of peace has never come easy. People – across centuries and continents – have waged wars against tyrants, fought revolutions, and won their right to life free and safe from harm. And even after their victories, they must always remain vigilant against those who would infringe upon their liberties. In the modern age we live in today, we are all striving towards our own goals. We all wish to achieve success as individuals, at times forgetting that we must also succeed as a community. The world was reminded of this principle from an unlikely source – the people of Iraq. Iraqis have suffered decades of tyranny under cruel, hateful leaders and then, lived in fear of extremists. Al-Qaeda found its new home. Iraqi soil was consistently stained red. Then, in the fall of 2006, members of the Al-Anbar tribes (living in the country’s dangerous Sunni Anbar province) met to discuss the volatile situation. “We held a meeting earlier and agreed to fight those who call themselves mujahadeen,” tribal leader Sheik Abdul Sattar Buzaigh al-Rishawi said in an interview. “We believe that there is a conspiracy against our Iraqi people. Those terrorists claimed that they are fighters working on liberating Iraq, but they turned out to be killers. Now all the people are fed up and have turned against them.” Iraqis stood up to their own people, whom they identified as a cancer that must be stopped for the progress of their country. Pakistan is on its way to doing the same. Pakistanis are united against terrorists; this is proven by sheer numbers. We have lost more people in our efforts than any other nation. But what we are fighting for is much, much more than that. What we need is a public spirit of hope and determination. We are fighting for our very soul. Our country must be united to succeed on all fronts – socially, politically, and economically. The issues that divide us must fade away. 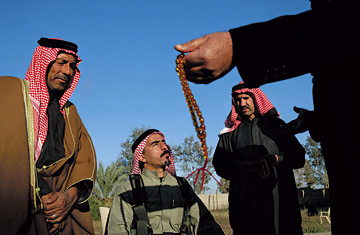 The Anbar tribes cast aside their Sunni-Shia prejudices, realizing this further allowed extremists’ to manipulate them. Sunni/Shia attitudes must be changed. The dominant attitude towards Ahmadis is appalling. The current Asia Bibi issue has stunned Pakistanis who cannot understand why archaic laws and brutal sentencing continues to be on the books. The work ahead of us is immense. Economically, we must invite businesses, investment and trade to work within Pakistan. A country like Pakistan has endless opportunities – in our 180 million people population, the median age is 18! – and we have much to offer the world, too. Politically, our country has come a long way from the days of Zia, and all signs point to a strengthening democracy. But all this is lost if we are not united. It will be lost if we cannot find it in ourselves to regard all Pakistanis as equals, with the same rights and freedoms. All our women are the daughters of Pakistan, as all our men are the country’s sons. We have to protect each other, and in this way, we protect ourselves. With Al-Anbar, we saw poor people rise up against an unendurable enemy. Only in doing that, they realized, could they succeed as a people. This entry was posted in Blogs and tagged al Anbar, al qaeda, democracy, Iraq by Editor. Bookmark the permalink.